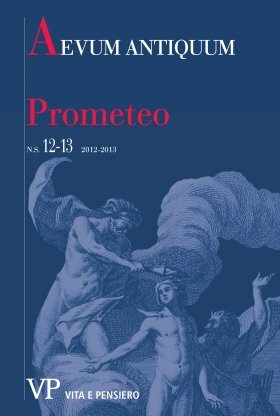 In this essay the Author tried to offer a systematic survey of the presence of the myth of Prometheus in Latin poetry. Analysing and comparing the most significant quotations, he looked for the aspects of the myth which Latin poets, their clients and their public liked the most, and, otherwise, which they tried to overlook, disguise or hide. When possible, the results were compared with the Greek sources of the myth, with the quotations in Latin prose, and with different kinds of artistic expression (theater, plastic arts). Sometimes, the analysis of the passages directly or indirectly regarding Prometheus (especially in the case of Catullus, Horace, Vergil and Ovid poems) allows us to examine in detail the manifold hermeneutical standpoints about the whole poem which is being discussed.